Earlier, the Indian Air Force showed radar images of the air battle between the IAF and a Pakistani F-16 jet, calling it ‘irrefutable proof’ that an F-16 was downed. Pakistan Army spokesperson Major General Asif Ghafoor has stated that India had failed to provide any evidence that one of its PAF F-16 fighter jets was shot down during the 27 February air conflict over Nowshera in Jammu and Kashmir. Repetitions don’t make truth of a lie. Despite claiming possession of evidence on shooting F16, IAF still short of presenting it. Don’t overlook Pakistan’s silence for not drum beating losses on Indian side. Fact is that PAF shot down two IAF jets, wreckage seen on ground by all. The Pakistani reaction arrived hours after the Indian Air Force presented what it claims to be the radar images of the dogfight between the F-16 and Indian MiG-21. According to New Delhi, this is an “irrefutable proof” that an F-16 was downed, something Islamabad has repeatedly denied. 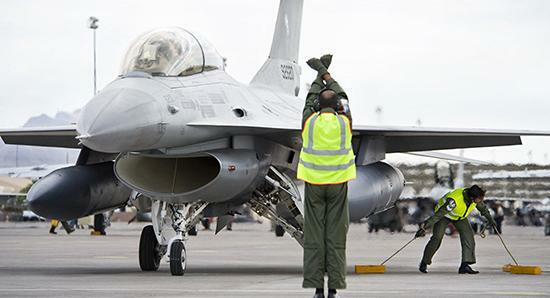 Earlier, Foreign Policy magazine reported that US defence officials had taken stock of the F-16s at different airbases in Pakistan and found none to be missing. The incident involving the IAF and Pakistan Air Force (PAF) took place on 27 February, when the Indian Air Force conducted an airstrike on an alleged Jaish-e-Mohammed terrorist camp in Balakot. inside Pakistan. Pakistan said that it had downed two IAF MiG-21 planes. According to the Indian government, the country lost only one plane and its forces succeeded in downing a PAF F-16. Next articleClimate change: what is eco-anxiety and what can we do about it?